Despite the fact that “freedom of the press” is loosely protected in the Angolan Constitution, the former president, Jose dos Santos, nullified these rights by passing a series of “security laws,” ostensibly meant to protect the state from dissidents who would “insult” the Republic through “public meetings, or by disseminating words, images, writings, or sound.” Even in his absence, dos Santos loyalists ensure his demands are met at th governmental level. 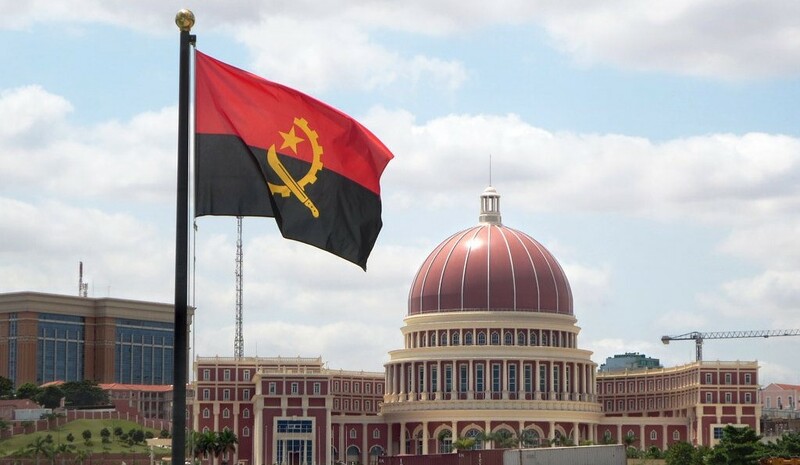 In an effort to dissuade the private media from saying anything that could be construed as an attack, the government of Angola continued to persecute independent journalists through civil or criminal courts. Jose dos Santos’ government also passed a series of laws that served as prohibitive factors in becoming a private journalist; this included exceptionally high startup costs (in a country where over half lived in poverty) and a harsh punishment for “offensive” material. President dos Santos compounded this by providing intentionally vague definitions to terms such as “offensive”, “slander”, and “defamation” to increase the impact of these laws on journalists as well as circumvent human rights violations allegations. Jose dos Santos preferred the media to serve as his personal propaganda tool, rather than provide Angolan citizens with objective facts. To achieve these aims, he, in 2012, established the Office for the Revitalization and Execution of Institutional Communication and Marketing of Administration (GRECIMA), which served to anage the “marketing” and “image of the Republic of Angola and its Executive”: GRECIMA served as the dos Santos administration’s personal propaganda medium. He chose the Communications Minister, Manuel Rabelais, to serve as its leader; this is personal rule as the president’s public and private life are both managed and supported by GRECIMA. Manuel Rabelais also received immunity rom former president Jose dos Santos. This means that Rabelais cannot be prosecuted for any crimes he committed for dos Santos as head of GRECIMA. Most media in Angola was nationalized during the country’s first few years after independence; this was meant to emulate the Soviet Union, with which the then-socialist MPLA had strong ties. The USSR had supported the MPLA first in the independence struggle against Portugal and then during the Angolan Civil War against UNITA and the FNLA, which were both backed by the United States. The only daily newspaper of Angola, as well as the only public television channel, are both state-owned. They also receive benefits for supporting the dos Santos government, such as exclusive interviews with high-ranking MPLA members and increased funding; independent/private journalists are often barred from attending these events. This provides an incentive for these state-run media sources to maintain a good relationship with the MPLA, often with a cost to objectivity. Half of the country’s residents live in rural areas with little access to electricity or internet. The state-owned media also serves a very important role to Angolan citizens as it is often their only source of legitimate news. With less than 12% of Angola’s population using the internet, there is an information gap between those who do and do not have access to the internet. This information gap also correlates with the urban-rural divide: almost all internet users in Uganda are in Luanda or other urban centers. However, the wealth divide is also reflected: even in the urban centers, internet is costly and thus, most citizens choose the more affordable radio as their choice of media, in the form of state-owned Radio National Angola (RNA). For the many citizens that live in rural towns, there is no access to international or independent objective sources of news. Blogs such as Maka Angola remain one of the few sources of criticism for the government in Angola; nevertheless, it is inaccessible to the poor or those in rural areas. In the first month since his inauguration, Joao Lourenco has attempted to distance himself from the claims of corruption, nepotism, and neo-patrimonialism that plagued dos Santos’ rule. In October of 2017, Lourenco took the first of these steps by officially announcing the demise of GRECIMA, effective immediately. This relieved Manuel Rabelais of his post and transferred operation to Lourenco’s own secretariat under the president’s Communications unit. This signifies a shift from dos Santos’ personal rule to a more objective form of governance; dos Santos often utilized GRECIMA as an extension of both his presidential and personal power, but Lourenco, by disbanding the group, increases his own government’s transperancy. While Lourenco’s disbandment of GRECIMA is undoubtedly a step towards true freedom of the press, it remains to be seen whether he will simply re-purpose GRECIMA with his supporters and use it to bolster his own image.